Recently, I was fortunate enough to attend a pickling class taught by chef Courtney Barnes from Bar Tartine. Bar Tartine is a great restaurant here in SF that has an Eastern European menu with heavy emphasis on pickling and fermented foods. I know what you are thinking, gross. Which is kind of what I said originally. But this class completely changed my views. 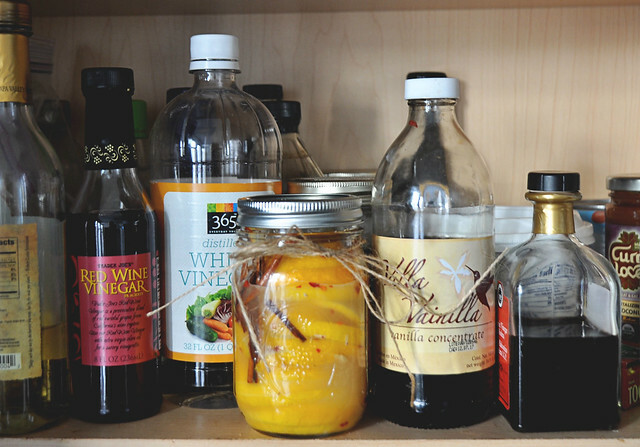 We made kimchi, sauerkraut, pickles, preserved lemons and my new favorite escabeche. Pasta: Topping pasta with good olive oil, some garlic, and slices of preserved lemons is a beautiful thing. Toss on a chicken breast or some fish to feed the men in your family. Tagines and Stews: Chicken tagine with preserved lemons is the most well know dish for these lemons, but there's a great big world of tagines out there. 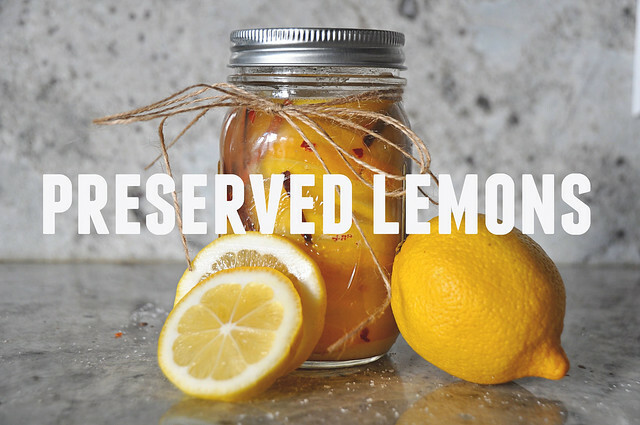 I love preserved lemon in chickpea stews and anything with lamb. 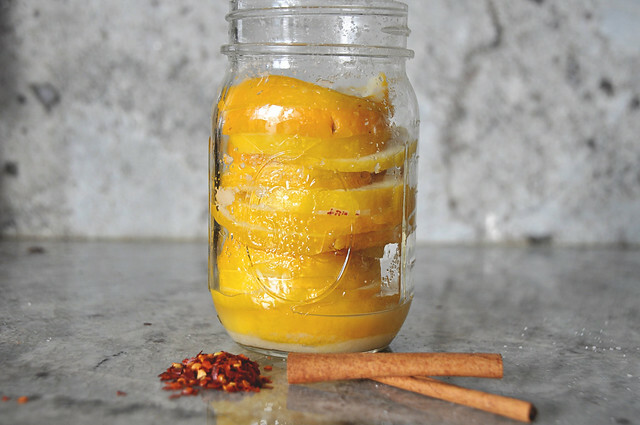 Even if your tagine or stew doesn't call for preserved lemons specifically, I fully support a little recipe tweaking. Or if all else fails add them to your Sunday morning Bloody Mary and drink. Mid way through my pickling I discovered that this would be a great housewarming present or even better a great holiday present. So watch out people you may just be getting preserved lemons from you know who come December. 2. 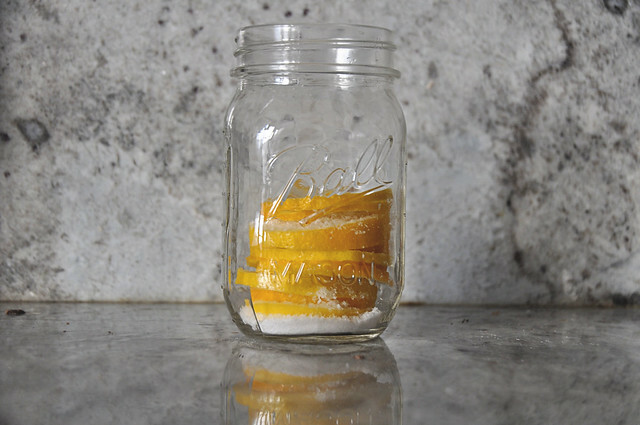 Place 1 tablespoon salt on the bottom of the mason jar. 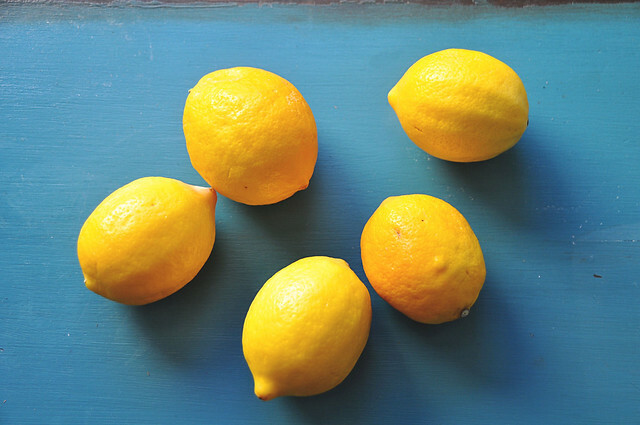 Pack in the lemons and push them down, adding more salt, and the optional spices between layers. 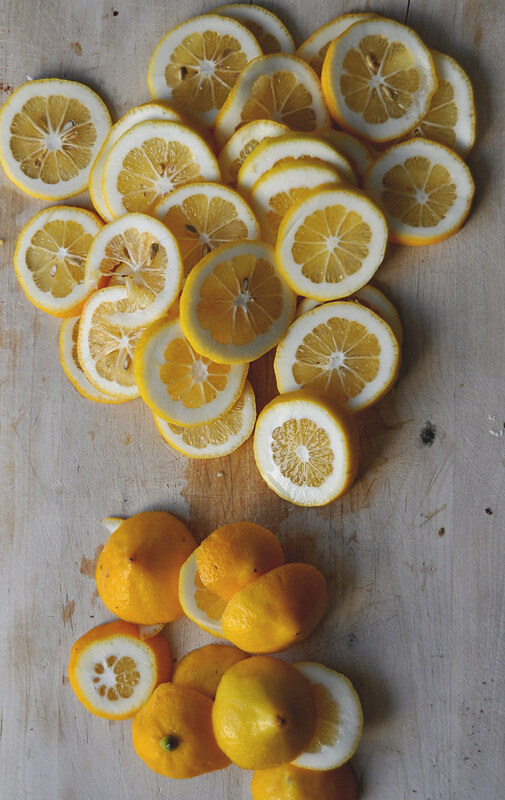 Press the lemons down to release their juices and to make room for the remaining lemons. 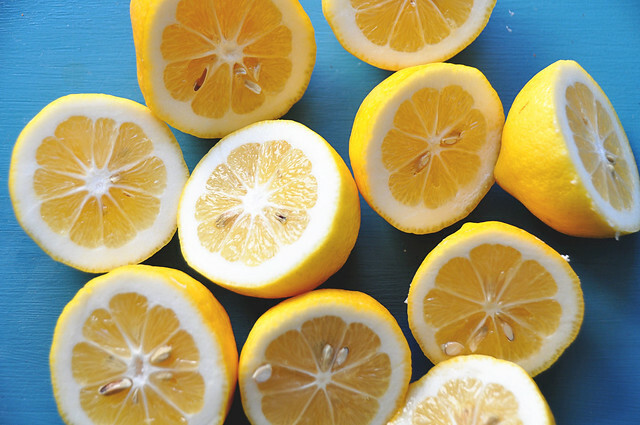 If the juice released from the squashed fruit does not cover them, add freshly squeezed lemon juice. 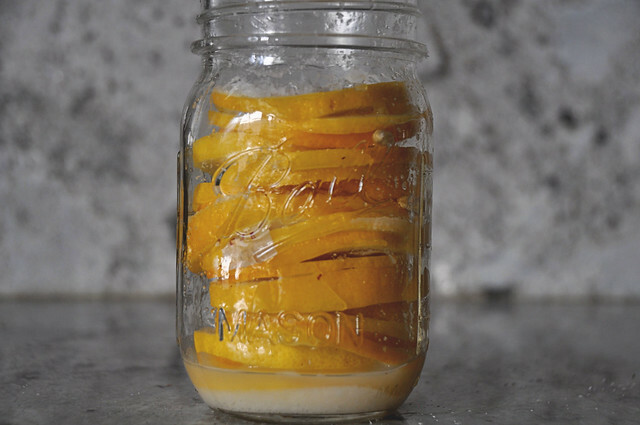 Leave some air space before sealing the jar. 3. 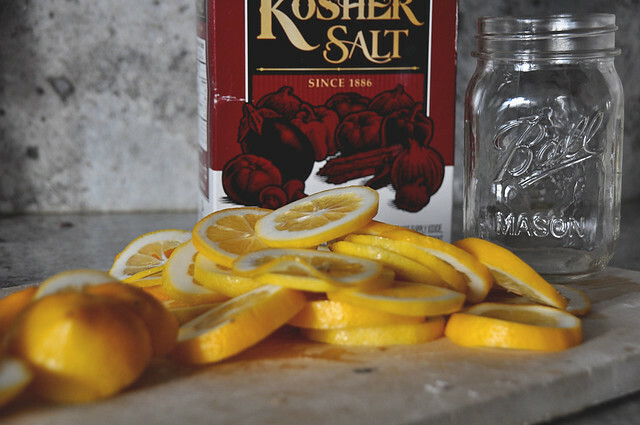 Let the lemons ripen in a warm place, occasionally shaking the jar to distribute the salt and juice. Let ripen for 30 days. 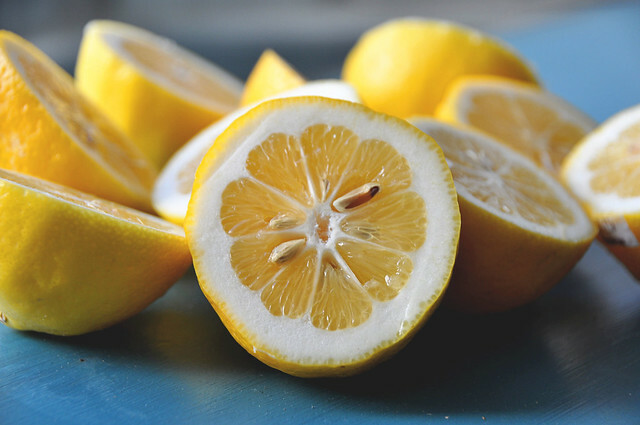 To use, rinse the lemons, as needed, under running water, removing and discarding the pulp, if desired — and there is no need to refrigerate after opening. 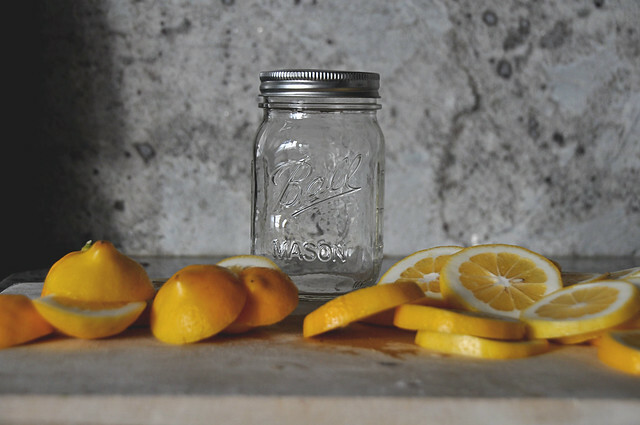 Preserved lemons will keep up to a year, and the pickling juice can be used two or three times over the course of a year.